Home > Beauty > Use the pumpkin seed oil! Cold pressed oil from pumpkin seeds can accelerate your health and appearance. 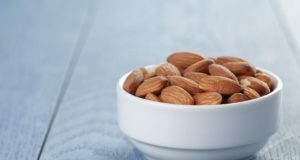 It’s filled with nutrients that are essential for the proper functioning of the body, such as vitamin A, E, zinc, omega-3 fatty acids and omega-6 fatty acids, and powerful antioxidants. Pumpkin seed oil is often used as a natural cosmetic product and is one of the most effective products for skin and hair. Pumpkin seed oil is rich in essential fatty acids, which are essential for the health and beauty of skin. 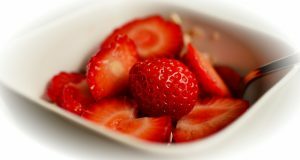 It has excellent anti-inflammatory properties. Pumpkin seed oil moisturises, firms and soothes irritation. It also stimulates cell regeneration and maintain an adequate level of collagen, which is essential for youthful looking skin. Pumpkin seed oil is rich in vitamins A, C and E, and numerous minerals and fatty acids, which can strengthen the hair. Pumpkin seed oil will protect the hair follicle, help prevent split ends, and give hair softness and shine. Some studies have shown that pumpkin seed oil, when applied or consumed, can stimulate hair growth. 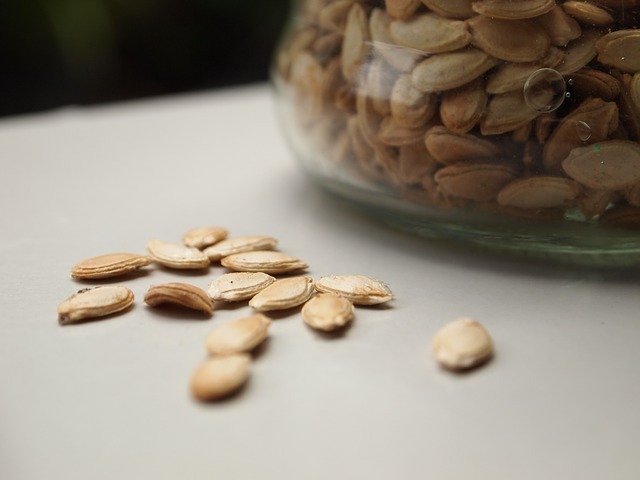 Women who once a week on hair causing oil from pumpkin seeds have a lower risk of excessive hair loss. Pumpkin seed oil can help in the care of dry skin. Experts have found that for dry skin care just as effective as coconut oil. It nourishes, moisturizes and nourishes. You can add it in the shower gel and daily use. It can be applied to wet or dry skin because the effect will be just as good. Pumpkin seed oil contains ingredients that will stimulate the expansion of the pores. After that, the best exfoliating natural ingredients. The pumpkin seed oil find vitamin E, which can help prevent the clogging of pores, pimples and acne. Vitamin E is essential for the prevention of pimples and acne, and we find him in a series of dermatological products. Pumpkin seed oil contains minerals that regulate hormone levels and improve the health of the reproductive system. Assists in the production and release of eggs. Studies have shown that pumpkin seed oil may enhance libido, and scientists believe that this is because it contains a high proportion of zinc. To remove makeup we use natural products that will not dry out the skin and cause irritation. Pumpkin seed oil is perfect for removing makeup because it will simultaneously clean, nourish, nurture and hydrate the skin. Pumpkin seed oil may also help prevent premature signs of aging.